Oh Bruges, how you've stolen my heart. After Paris and Bacharach, Bruges was another one of my favorites. 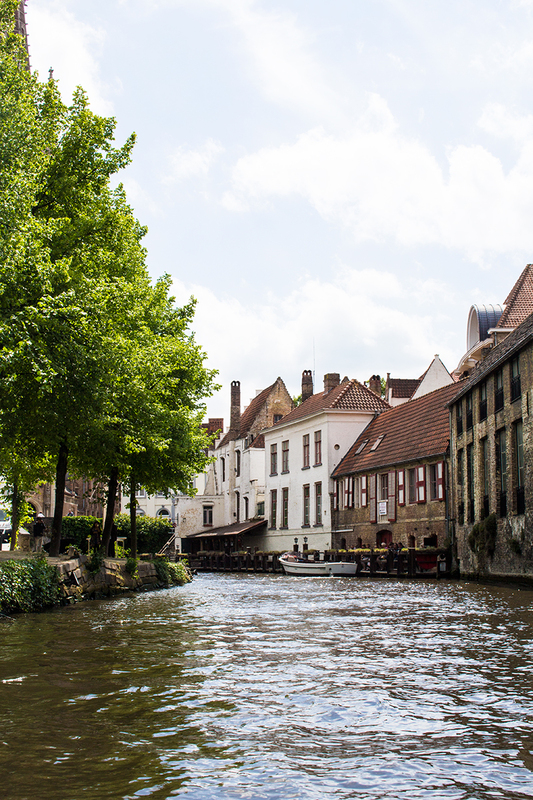 The capital of the West Flanders in Belgium, it's home to quaint canals, charming homes, and lots of chocolate. 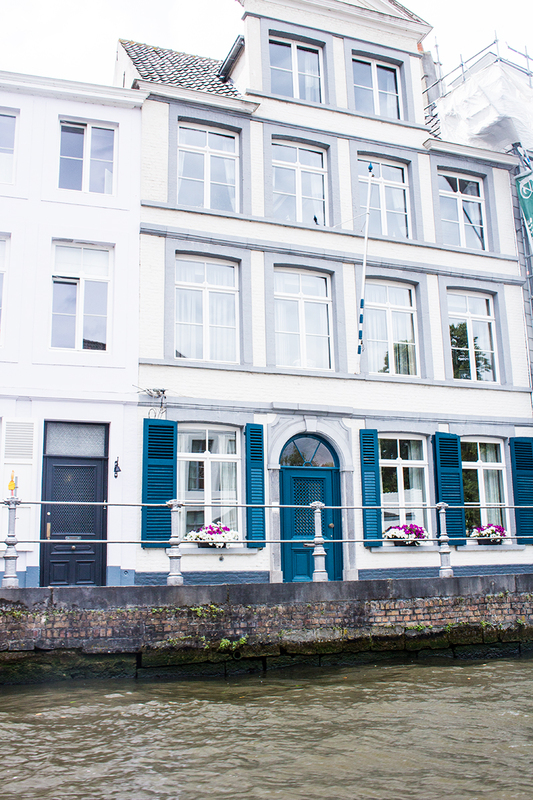 It was there in Bruges, where I ate one of the best plates of spaghetti and devoured gourmet chocolate made locally. 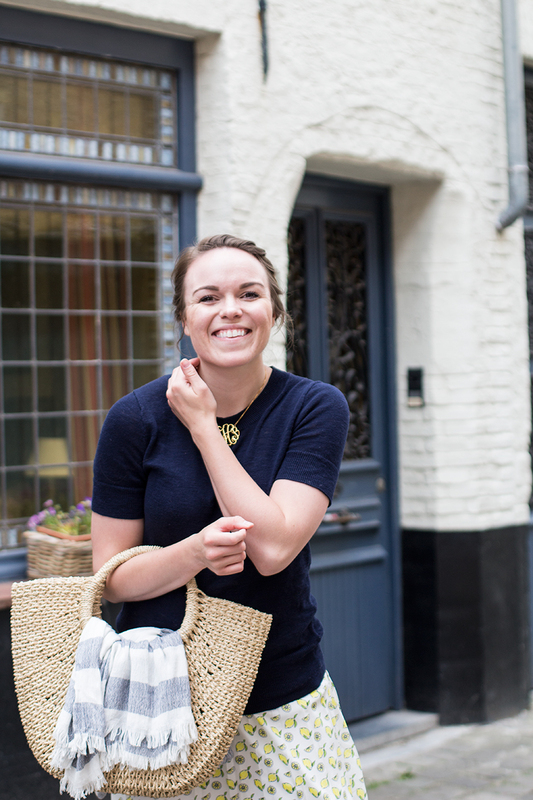 I have a large place in my heart for small village-like cities that offer everything and more than a larger city, like Brussels. We decided to use one of our days in Brussels to take a day trip to Bruges, it was only a hour train ride, and it was completely worth it. Why Visit: The real question is, why not? I enjoyed Bruges much more than Brussels, and to be completely honest - I didn't really like Brussels at all. Bruges, in my opinion, was a mixture of the Netherlands, France, and Germany countries. The city, reminds me of the French port town Honfleur, with its alluring character and quintessential charm, it's hard not to love it. Just trust me on this one. Walk around Market Square: As you can imagine, there is an abundance of local shops, cafes, and chocolatiers in Bruges. 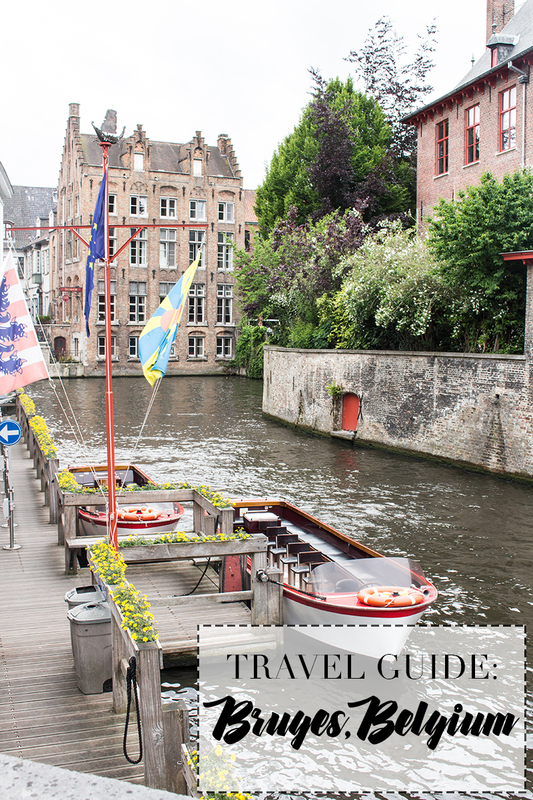 In the heart of the city there is so much culture - this is the best way to get to know Bruges and see what the town has to offer. Take A Canal Boat Ride: There are many places around Markt Square or Burg where you can hop on a small canal boat. I enjoyed getting a dose of history and it was just the right amount so I didn't get tired. I will say this is the best way to see most of Bruges so you don't have to walk. All of the tours are in English as well so you don't have to hunt for a specific business. Oh, and our captain was hilarious; I may or may not of been splashed with very cold water because it was windy and the American in me became startled and screamed. Very loudly. (Insert embarrassed emoji.) Well, thankfully our captain kept going but he laughed for a solid five minutes :). 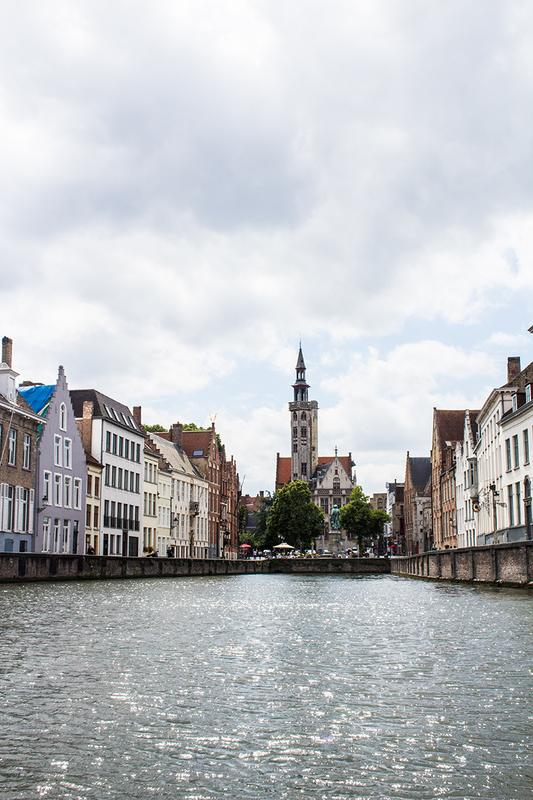 Stop For Some Chocolate: Belgium is known for their chocolate, and Bruges is the leader. The first thing my sister and I did when we arrived was stop in a local chocolate shop. It was nice having a sweet treat while we explored for the day. This alone might be the one reason I move there, if you know me, then you know my adoration for chocolate and Belgian chocolate has moved to the top of my list. Enjoy Canal Side Lunch: It really doesn't matter where you eat, because I don't think you'll go wrong with any restaurant you choose, but, it is part of the experience if you choose to eat canal side. We enjoyed plates of spaghetti while watching small canal boats go by. It was so incredibly peaceful, definitely something I could get used to on a daily basis. Wander The Small Streets: Call me snoopy but I love wandering the streets of small towns. As I mentioned above, this is the best way to get a great big dose of culture. One of my favorite things is to find the "cutest streets" and dream of living there myself. I am exponentially content getting lost and wandering. Sometimes, that's when you find yourself finding the best things in life. Simple & Lightweight Clothes: If you are traveling late spring/early summer (May or June), keep your attire lightweight and comfortable. I frequently wore skirts in Europe, I found them to be more breathable than pants. 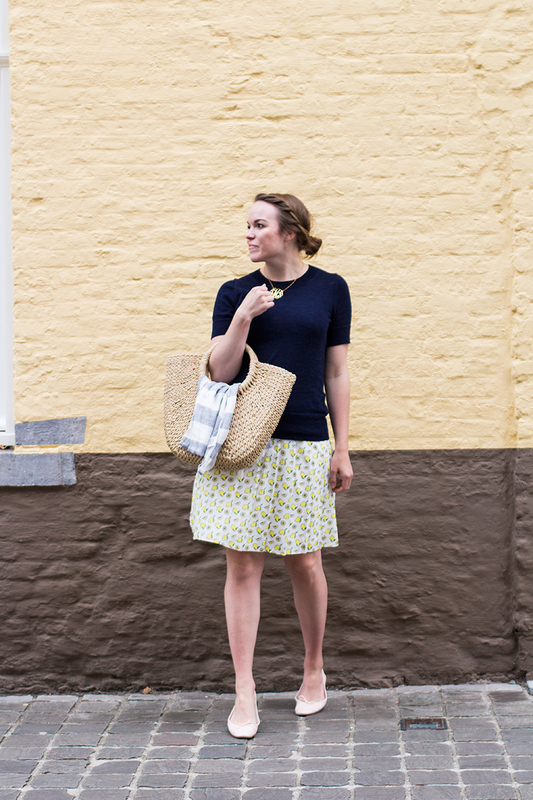 I finished off the look with my absolute favorite short sleeve sweater from J.Crew Factory. You may also want to bring a scarf or jacket, and umbrella! Comfortable Shoes: I purchased these Repetto Flats in Belgium and I cannot express to you how much I love them! They are incredibly comfortable - definitely worth the price tag! We ate at a restaurant/bar that was on Langestraat - right on the canal. If you are planning a trip I highly recommend this map. These maps are made by locals and have the best recommendations for food, shopping, tourist spots, free wifi, and general city tips! You can print them right from the website - I've already started a collection for my next trip. Can you guess where?!? That's all for now - if you have ever been to Bruges, share where you ate, what you did, etc., below for everyone to read!